The Semaine Olympique Francaise, or simply Hyères as it is commonly known, is one of the major regattas in the international Olympic sailing circuit. The SOF was created in 1968 with 60 sailors from 12 nations competing on Finn and 5.5m. In the early 1970s, they were 240 sailors from 16 nations, most of them being Europeans. In the 1980s, overseas countries began to join the European circuit. 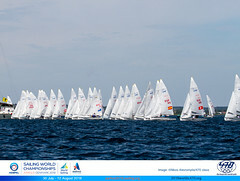 In 2008, for the 40th SOF, 930 sailors competed in Hyères, on 690 boats representing 61 nations. One hundred and forty-five coach boats were registered, and the event was run by about 300 volunteers, including 15 International Judges and nine International Race Officers. 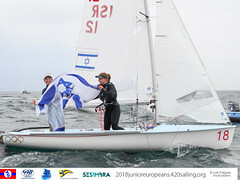 Initiated and still organized by sailors for other sailors, the SOF has convinced by its rigorous organization and the quality of the racing area. 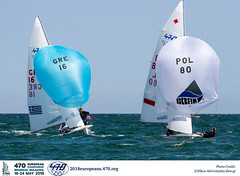 When ISAF decided to change the racing format of sailing at Olympic Games, in the early 1990s, with smaller fleets on shorter courses, the SOF was among the first events to experiment group systems with qualifying and final rounds. This was the beginning of trapezoid courses, replacing the former "Olympic triangle". The new organization needed to have a solid headquarter onshore with experienced PROs, able to coordinate racing on five or six racing areas simultaneously and looking for consistency of the race management. In 2002, Paralympic classes were included in Hyères programme, allowing disabled sailors to join Olympic sailors on the same venue, competing and celebrating sport at the same time.